Do vegan K-beauty products exist? Yes, they do! Here, we break down which products are vegan and why you don’t see vegan certifications on many Korean products. It’s a fair assumption; Korean beauty is known for incorporating products like bee extracts and venom, honey, snail extract, and milk into its products. 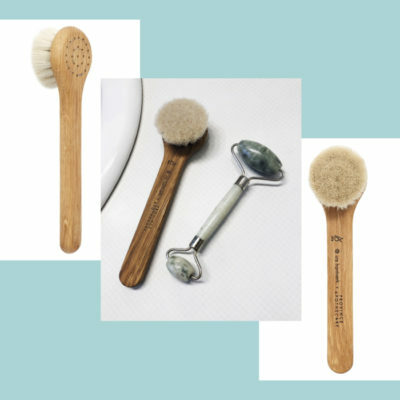 But surely, I thought with Korea’s recent move to go completely cruelty-free there must be at least a few Korean beauty brands that can cater to a vegan audience, so I did some digging, and here’s what I found. What defines a vegan product? It’s first important to talk about what being vegan really means. Veganism is a lifestyle that excludes use of animal products for food, clothing, or other purpose (including skin care and makeup). Vegan products cannot use egg, milk, snail extract, bee extracts including honey and royal propolis, or any other animal product. So, what is cruelty-free? And why are products in China not considered cruelty-free? Vegan is not synonymous with cruelty-free, contrary to popular belief. Cruelty-free implies that at any given stage of development, a product was not tested on animals. It is possible for a product to be vegan, but not cruelty-free and vice versa, however, many vegans consider products not to be vegan if they are tested on animals. There are a number of caveats to this, including that because skin care ingredients are fairly universal and common, it is nearly impossible to use ingredients that have never been tested on animals. Even though Korea has mandated that all its cosmetics and skin care brands go cruelty-free in 2018, mainland China still requires animal testing of imported cosmetics. However, as of 2017, there have been major changes made to these requirements. Products directly mailed to consumers from overseas for personal use do not require animal testing. Hong Kong does not require animal testing and therefore imported products that are sold through Hong Kong for personal use do not have to be animal tested. Personal use is important in these changes, meaning that any product sold in brick and mortar stores in mainland China will not be cruelty-free. What does it mean to be certified? Why might a company not get certified? Becoming certified involves an application process and can be costly. Many certifications must also be renewed each year and require onsite employees doing constant checks on products. In order to be certified vegan, products must be made by companies in the United States, Canada, Australia, New Zealand, and U.S. Territories which disqualifies most, if not all Korean brands from becoming certified vegan. Product labels can also be misleading so it is important to inform yourself on the brands and ingredients lists prior to purchasing a product. Why switch to vegan products? 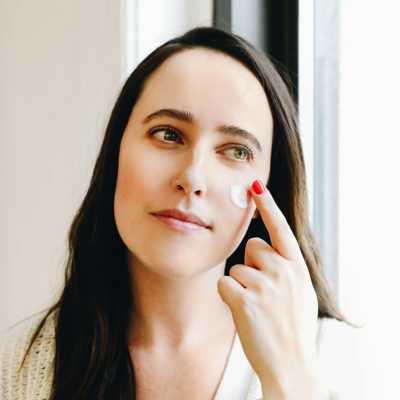 Sensitive and condition prone skin can often be irritated by synthetic ingredients, even those that claim to be hypoallergenic or organic because they continue to use traditionally synthetic ingredients like parabens, alcohol, detergents, fragrances, and more. Vegan products are more likely to be formulated without these and instead use all natural products (however, natural and organic are not synonyms for vegan or better). We hear all the time that eating products closer to their natural state, like raw fruits and vegetables, is generally healthier because none of the good nutrients are taken away. The same is true in your skin care products. Vegan skin care often uses ingredients that are closer to their pure, natural state, increasing their effectiveness against their synthetic counterparts. There have been studies done on whether the vegan lifestyle is actually more ethical and to be fair, there is no real conclusive decision. In general, it can be more ethical but only to an extent. Being vegan does not solve the world’s eco-crisis, but it can reduce your carbon footprint if you do it the right way. Because vegan products do not use animal products or byproducts and tend to be more cruelty-free and eco-friendly, they are generally more guilt-free but not necessarily more ethical in the broad sense of the word to apply to all of humanity. However, thinking about these choices conscientiously is still a productive and positive step. 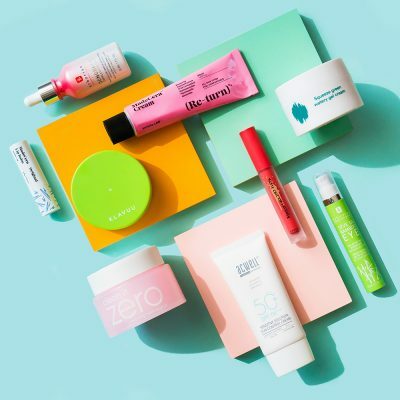 So, which K-beauty brands actually are vegan or have vegan products? Despite veganism still being a pretty rare phenomenon in Korea, vegan products and brands do actually exist. Because some brands can choose not to be certified and most K-beauty brands cannot be certified vegan, we made sure to reach out to some of our favorite brands directly to make sure that their products were suitable for vegans as well as check their cruelty-free status. We’re highlighting them and some of our favorite products below! All products from E Nature are vegan except the Cicaherb Multi-Balm, which contains beeswax. E Nature is cruelty-free and does not have any brick and mortar stores in China. 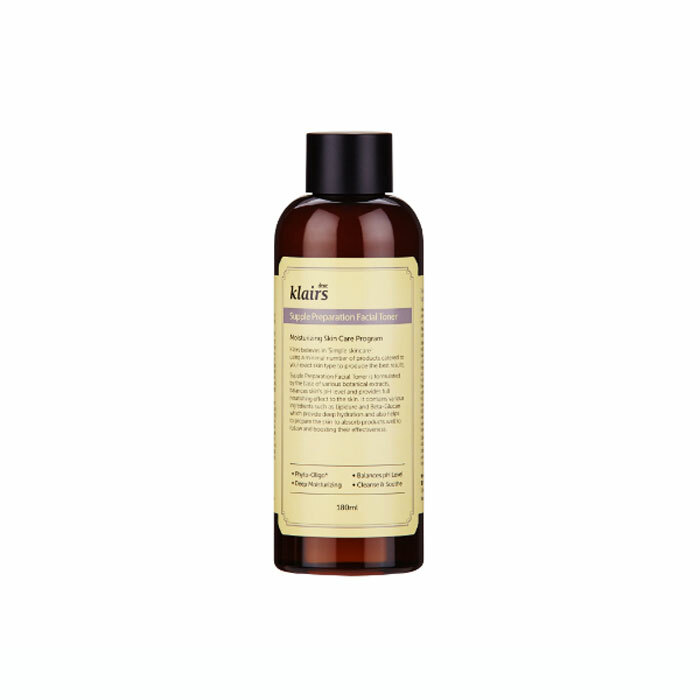 E Nature is known for its use of natural, eco-friendly ingredients in both its formulations and its packaging. Every product is tested for skin-safety and is fragrance free, making it usable for even sensitive skin. It is particularly known for its use of birch juice in products. Tree sap from birch trees is packed with great nutrients and naturally occurring vitamin C and B (niacinamide) and acids that can be used for reducing inflammation and puffiness as well as hydrating. We love E Nature’s Moringa Cleansing Balm and Birch Juice Hydro Essence Skin. The cleansing balm has a thick formulation that melts away makeup without being overly oily; it’s comparable to the Banila Co Clean It Zero Classic without leaving greasy residue or dryness. The essence is a favorite among Korean women (and well loved here at the Klog) because it’s extremely hydrating and packed with antioxidants for building up your skin barrier and brightening. Benton is a PETA-approved cruelty-free brand that focuses on natural, ECOCERT ingredients. However because the brand uses snail mucin and bee venom as star ingredients in many products, it’s not as vegan-friendly. 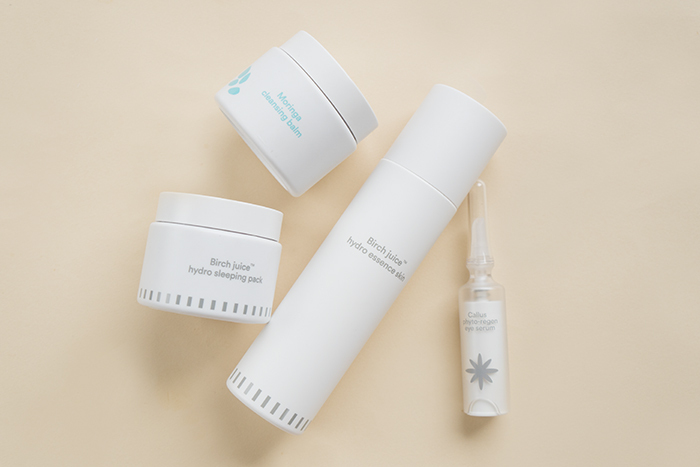 That said, there are still some vegan options to choose from including the Tea Tree Cleansing Water, which won a 2018 Best of K-Beauty Award, the hydrating Cacao Moist and Mild line and the Fermentation Eye Cream, a powerful wrinkle and dark circle-fighting treatment. All Klairs products are vegan-friendly with the exception of its Manuka Honey & Choco Body Soap and the Klairs Midnight Blue Calming Cream. Klairs explained that honey was added to the body soap formulation because of its added effectiveness and could not be replaced. The calming cream contains beeswax, which the company also attempted to remove, but could not as it changes the texture of the product. Klairs is also cruelty-free and does not test on animals. All Klairs products that are sold in China are sold via online market only making them exempt from the mandatory animal testing. 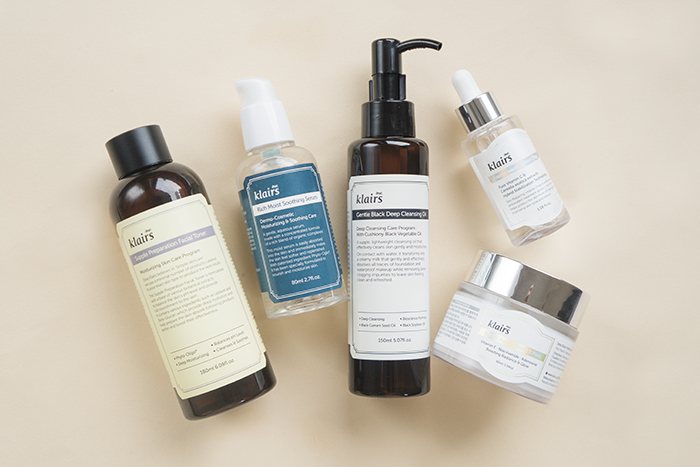 Klairs is one of my personal favorite brands, so it’s great to hear that they use almost entirely vegan formulations. 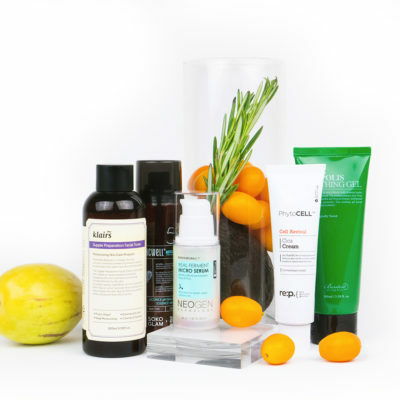 My favorite products are the Supple Preparation Toner and Freshly Juiced Vitamin C Serum. The toner is lightweight without being to loose and watery and with a pH balance of 5, so it’s skin balancing whilst also providing deep hydration and removing any excess dirt from the skin. It’s also great for anyone with sensitive, dry, or combination skin! The serum is super gentle and fragrance free, containing 5% vitamin C to fade dark spots and hyperpigmentation, as well as brighten. It goes great with the Freshly Juiced Vitamin E mask for increasing the effectiveness of vitamin C.
This cruelty-free and vegan brand is known for its black tea water-infused products like the Real Black Tea True Active Essence. The brand uses black tea from France’s oldest tea brand, Compagnie Coloniale. Black tea is packed with age-fighting, skin-protecting antioxidants. The caffeine also helps tighten skin and depuff. Another star ingredient in the line is green tea, which helps reduce inflammation. RE:P is a brand known for its more ethical practices. RE:P stands for “Real Elemental Practice” and prides itself on going back to nature, creating sustainable, eco-friendly, high quality products. It’s not sold in China and its formulations have not changed since its initial certification. 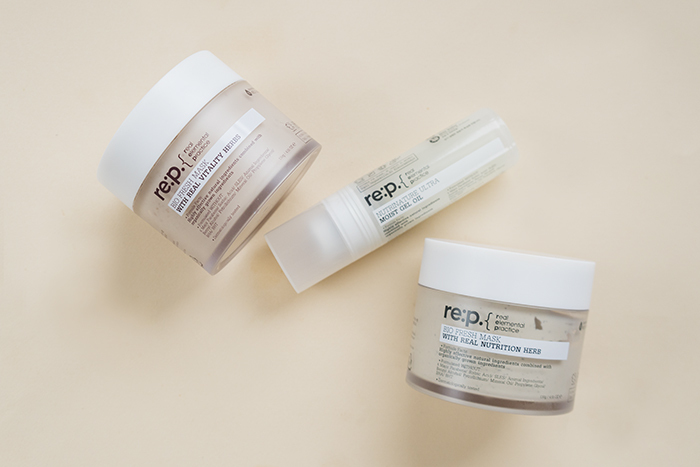 All products in the RE:P line are vegan-friendly. 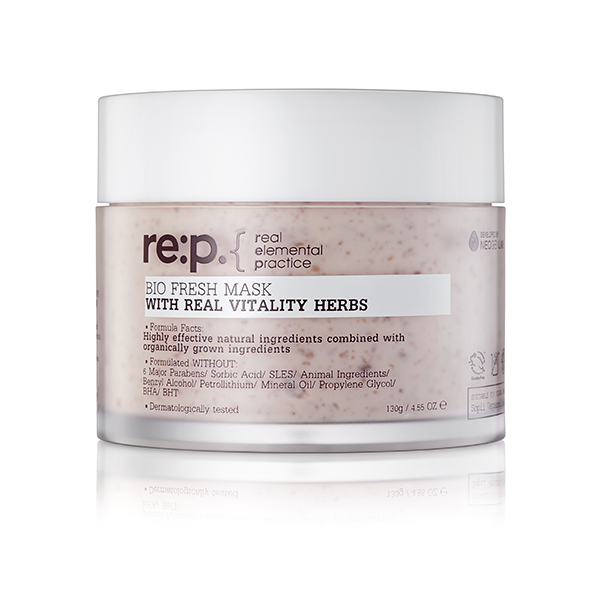 Some of our favorite RE:P products include the Nutrinature Ultra Moist Gel Oil, and Bio Fresh Mask with Real Vitality Herb and Real Nutrition Herb. As its name suggests, Thank You Farmer is cruelty-free and mostly vegan. The Back to Relax Soothing Gel is unfortunately not vegan, however the Back to Pure Daily Foaming Gel Cleanser and Back to Iceland Cleansing Water are. Both products are soothing, sensitive skin-friendly, and nourishing. 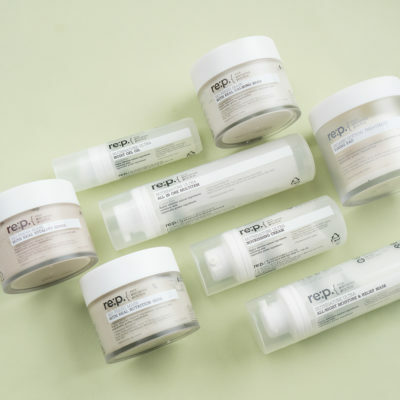 Neogen has become a hugely popular brand in both the Western and Korean beauty communities, known for its incredibly innovative solutions, packaging, and formulations. Because it caters to such a large international audience, there are some misconceptions regarding the brand. Some products from the Neogen Dermalogy line are sold in China which would make them not cruelty-free. Neogen is also not entirely vegan, with some products containing caviar. However, it does still carry a number of products that are vegan-safe. Some of our favorites include Neogen Real Flower Cleansing Water in both Calendula and Rose, as well as the Bio-Peel Gauze Peeling Lemon. Mamonde’s line of floral-infused products are vegan-certified. Some of our favorites are the Petal Spa Oil to Foam Cleanser, a divine-smelling oil and foam cleanser in one, and the Floral Hydro Eye Gel Cream, a plumping and refreshing treat for the undereye area. If you’re trying out the vegan lifestyle or just trying to cut out animal products from your routine, it is still possible to use Korean beauty! It just takes a little more research into your ingredients. 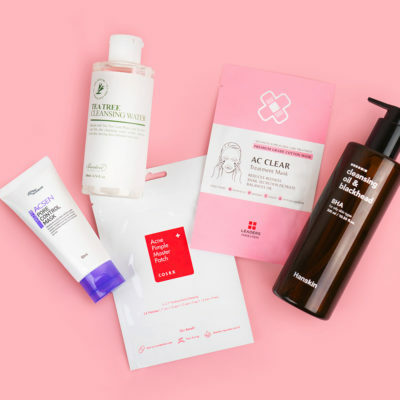 Sure, honey and snail mucin are staples in the K-beauty world but they’re not absolutely necessary and this is by no means a comprehensive list of vegan-safe K-beauty products. Still curious? We’ve already created a plant-based routine just for you! + What vegan K-beauty products do you love? Share them with us in the comments!